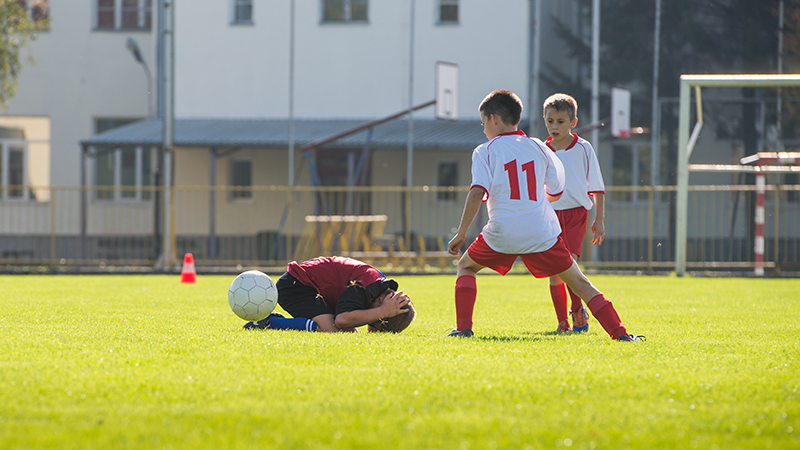 Suffering a concussion can be scary, especially if you’re unsure of what to do. That’s why we’ve put together a comprehensive guide to recovery starting immediately after you’ve suffered your injury. A concussion is a serious injury to the brain resulting from the rapid acceleration or deceleration of brain tissue within the skull. Rapid movement causes brain tissue to change shape, which can stretch and damage brain cells. This damage also causes chemical and metabolic changes within the brain cells, making it more difficult for cells to function and communicate. CDC estimates 3.8 million concussions occur each year. Learn more. It can be hard to manage an injury you cannot see. When mismanaged, concussions can have devastating consequences, but with proper management, athletes who suffer a concussion can expect a full recovery. The Concussion Legacy Foundation recommends these simple guidelines to help athletes, parents, and coaches manage concussions and get on the road to recovery. After suffering a concussion, one of your first steps should be to find a doctor. Concussion Clinics is a free online tool provided by the Concussion Legacy Foundation that is designed to connect you with local medical providers and clinics that treat concussions. We worked with TED Ed to create this educational video on concussions, Post-Concussion Syndrome (PCS), subconcussive impacts and CTE. Check it out! Concussion safety starts with smart policy. Our concussion experts have identified 10 critical items that academic and athletic organizations must address when implementing concussion safety protocols. Post-Concussion Syndrome (PCS) is the persistence of concussion symptoms for greater than six weeks post-injury. If you or a loved one are dealing with persisting concussion symptoms, take a look at the Concussion Legacy Foundation's PCS Resources section. The Concussion Legacy Foundation accepts gifts of all types. You can help us make a difference.